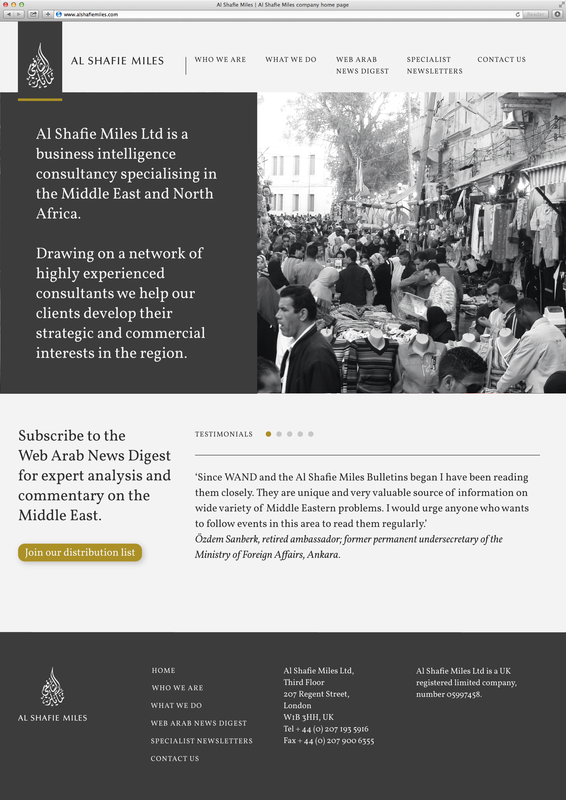 Kim Vousden was commissioned to redesign the website for Al Shafie Miles, a business intelligence consultancy specialising in the Middle East and North Africa. Requiring an update to their existing online presence across mobile, tablet and desktop devices the design needed to be flexible, but consistent with the brand ethos: delivering respectable, qualitative and leading-edge consultancy services. It was clear that the new website would need to be typographically sophisticated, but straightforward and intuitive to navigate. The design also needed to support reading lengthy text articles without causing eye-strain. 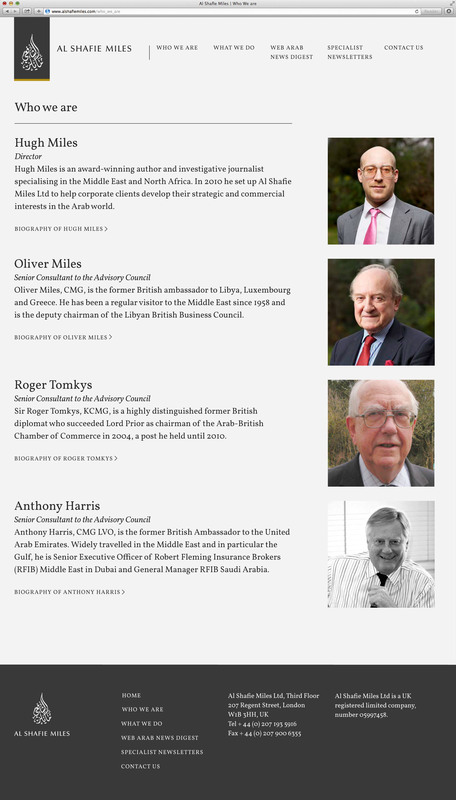 An additional function of the new website was to encourage interested readers to sign up to the regular e-newsletter—these call-to-action links needed to be prominent but harmonious with the overall design.